Python is often required, but most of the time Python scripts do pretty simple and explicit stuff. Some of them (Cyan's xAgeSDL scripts) are documented already, and more will come eventually. So in the end you'll be able to setup your logic fully in node trees, and only use Python as "extra" nodes which you will connect with the rest. Don't worry, I believe with good tutorials about node trees and what each Python scripts does, you'll be able to do all your puzzles in node trees and treat Python scripts like special nodes, without headaches. Detectors are simply clickables and regions. Responders are a "todo list" you give the engine (run an animation, play a sound). What Age builders need is mostly examples and tutorials of the most common interaction, so they can get familiar with the nodes and understand which nodes are used as action, event or condition. Once you're good with that, you can start creating your own puzzle. These tutorials will come eventually, and some of them require a bit more standardization to happen so you won't have to bother with technical details (like how to write SDLs, how to do linking without having to worry about save corruption, etc). I totally agree Sirius I do not see this as a long way off and as you say examples and tutorials are the way forward. Like some detail on using the various commands. In particular I would like to know about removing accounts at present I have an account I have added as a temporary account and at some point I want to remove that account. I would also like to know is it possible to change the password for an account and if so how do we do this? If push comes to shove I will just wipe the server and re-build the shard again something I have become quite accomplished at doing. 2) I am bouncing around a lot and I did see a command (I am buggered if I can remember where) that listed the SDL variables and their current states. I almost certain this was inside the plasma console and that when I ran this command the result exceded the window and showed either the first or last block either way I would like to be able to get this as a print out. 3) I would also like to know if there is a way and if so how do I produce a script that will at one fell swoop change all of my SDL variables to a particular state in an ideal world this would be a text file I could produce externaly and then FTP onto my rebuilt shard where I could run it. That way If I do rebuild my shard I have a one stop command that will make various linking books available remove barriers in the hood and the city etc. etc. um... so i am really new to all of this and have been away from the Myst series for a long time. but the 25th release has gotten me excited about Myst again and i found this community! i have always wanted to create my own Age, and it looks like the tools are all before me. i have been a long time blender user and an anxious to get started. but i would like to first check out the original Cyan Ages before i get started. i am also working on my own personal physical MYST Linking book that i would like to add an LCD screen to that will play a custom Myst Island flyover video. so i guess my question is this: does anyone have the model to the original Myst island from either Myst V or RM that they could send me, or is it possible for me to rip the model from Myst V for myself and just clean up the textures and to make it look a little cleaner? There is a route to reverse engineer Cyan's stuff but you are going to vanish down a rabbit hole of complexity not least because All of the Cyan ages are built using the 32bit incarnarnation of Studio 3DMax that is versions 7,8 or 9 and that means if as you say are a regular Blender user you are going to find it a learning exercise and as the 32bit versions are no longer supported, just a problem getting to the base program. But there is an option there is a Blender Addon, and that is Korman There are details in the the Wiki associated with this forum. Sort yourself out a Myst Online Uru Live login and before Saturday get yourself into the Uru Cavern. 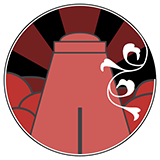 On the First Saturday of every month (8pm UK time whatever time that is where you are) there is an All Guilds Meeting (AGM) where members of the various groups meet as avatars and subject themselves to talks given by the various guild members. Probably for you first I would suggest lurking and getting a handle on what passes. Failing that every Sunday the is a small open meeting at "The Meeting Place" Neighborhood (Again this starts 8pm UK time whatever time that is where you are) and here we chew the fat over various topics but a small group a general mix of long time players and age officianos can provide help or solice to the the confused new explorers. It is an unusual weekend when I am not there for at least the first hour and a half. I am an age builder of long time standing and also a long time Blender User. My Blender heritage is unusual and includes amongst other things Basketball scoreboards. In this environment I can answer direct questions about setting up an age building/testing workflow. There are at least circa 150 fan built ages nearly all of these come from Blender tools most of them pre-Korman and there are a couple of routes where you can explore those for these you will need at least a copy of Uru Combined Chronicles (Offline version) but this can be bought cheaply from Good Old Games this download version will work with the earlier blender exports and the Drizzle or alow you to make a access point for Deep Island this is the online access to the fan built portfolio. Cyan are protective of their own Intellectual Property but the tools and game engine have been made open source exploring the Myst Online Uru Live can be a fine source of ideas and the game does have an incarnation of the original MYST island in a truncated form. The Myst V ages can be ported into Drizzle and explored with a free roaming avatar. With the provisor that you have the original game as your source files you have then effectivly bought access to the ages from Cyan and are just exploring them with a different interface. The biggest hurdle with Cyan's ages is the inherent scale detail and complexity and a suggestion is first build an extremely simple age to make sure your hardware can manipulate and export age files. Take this as fact Cyan are not going to let you have the source code to their Ages, the game engine MOSS and age building tools for Studio 3DMax are open source but as I say you need that 32bit version. But there are Fan ages and some Fan age writers willing to share the fruits of their labours and to be fair some of the fan ages are dire, but some are fantastic. If you want to start by taking a look at Cyan's Ages from within Blender, it's not as complex as J'Kla made it sound like. Yes, the Ages were built with 3dsMax, but you can import the visuals from Uru and Myst V into Blender quite easily. Redistributing those files would raise issues, but studying them is no problem. If you really want to have a look at Cyan's Ages, you can use the PyPRP importer (for Blender 2.49) or my own importer (for more recent versions of Blender) to import the Ages (obviously I'll recommend my own importer as it's more recent and runs on a newer Blender). Again, these importers only import meshes and some textures, but break everything else, so don't expect to be able to re-export those areas. The topic in particular dealt with modifying existing Ages (which is far too complex), but if you only want to study the imported Ages and do a few Blender renders with them, it's nothing too difficult. You'll also need Korman. Like J'Kla said, it allows you to export environments from Blender to Plasma (the game engine used by Uru). Even if you don't intend to create new Ages just yet, it's still required for my own importer to function. Actually using it to create new content is more involved and depends on the version of Uru you target, so you will probably have to learn a bit more about Uru modding before you're comfortable with it. But there are a few Wiki articles about it, and people on this forum and during meetings in MOULa can help you get things running. Sirius responded while I was writing my own, and covered it all very well. If you need any additional assistance, feel free to ask! Yeah, as of right now i am just looking to do a few renders of the main island with the hopes of getting more involved with creating my own ages. but i will have to be honest, it does seem daunting but i would like to at least take a look at the original models. just for clarification, Myst V is the only game with the original Myst island that can be imported to blender? also, it seems like i came across a post from a member here that said that many in the community have .blend files of the original Ages, if that is the case, would it be wrong to ask for someone to shoot me a PM/DM with a link of the main island? Creating Ages can be quite a challenge, yes. First, you have to make your game moddable so you can link to your Age (I don't know about MOUL-based environments, but on Complete Chronicles, this is done using Drizzle and the Offline-KI, and is rather easy). As for creating the Age itself, being familiar with Blender is already a huge asset for you Then it depends what you want to do... At the moment interaction and puzzles are complex to create. Good visual quality is doable but comes with a few compromises (mostly, the light is "baked" into meshes and what you see into Blender might not match what you'll get in Plasma). However keeping interaction and visuals simple doesn't mean your Age will be bad. People here made very cool Ages with almost no interaction and very limited visuals, but that span several kilometers with lots to explore. As long as the Age is interesting one way or another, people will like it. On the topic of importing stuff... Yeah, the only version of Myst island we have is the one from Myst V. Like I said, we never managed to fully extract models from either realMyst games. - in the Blender Addons panels, enable "zero length zenith"
- and use File->Import->Uru import, choose a .age file.